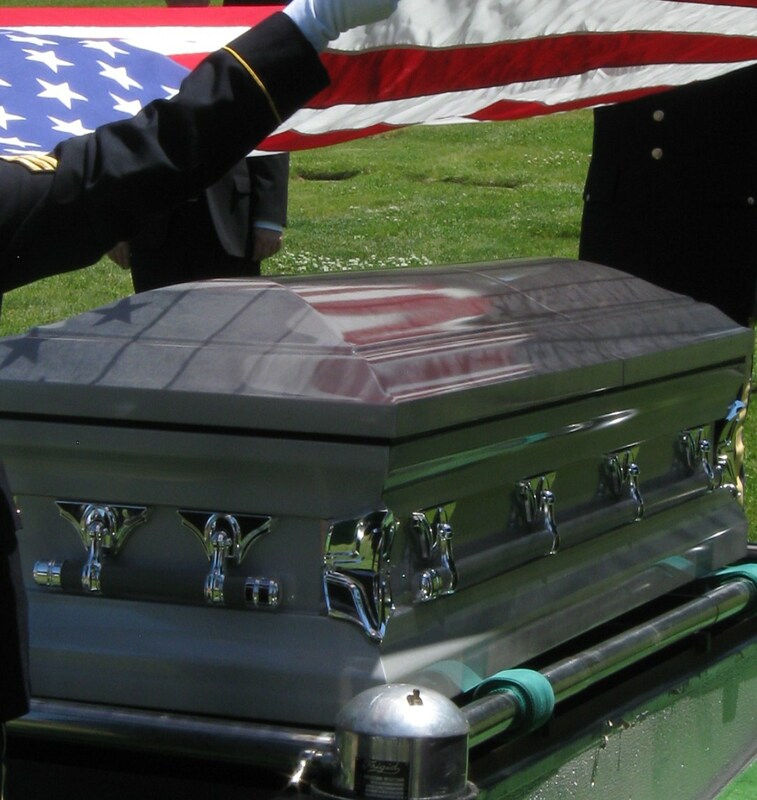 This is my father’s coffin, July 2, 2015. These are the soldiers folding the flag that covered him. And while I watched the ceremony yesterday, I was struck that not only had my father died, but my country is dying, too. I worry deeply about America. I agree with so many others who have written more eloquently, and angrily, that America is no longer the greatest country in the world. And that would have broken my father’s heart. It’s odd to put it this way, but I’m grateful that Alzheimer’s took away his mind these past few years so that he couldn’t understand what was happening to the country he proudly became a citizen of 60 years ago. He loved America, but he wouldn’t recognize it today, and I worry about what it will be like in another 60, or even 6, years. I worry because we are not united. I’m not naïve; I doubt that this country has ever truly been “united,” aside from a couple of occasions. Once would have been during WWII when outside enemies provided us something to fight against instead of each other. The second would have been a brief second honeymoon after 9/11 when we realized that our land was under no special protection, that we could be attacked like any old place, and that scared us. But only for a time. I worry because we all want to be victims. The notion of “freedom” has expanded and contracted in bizarre ways, granting to one segment of society the ability to act and demand anything they wish, while another segment is berated and demonized for nearly anything they express. The fascinating thing is that every segment of society will claim to have been the one persecuted against. We scramble to cry foul and demand vindication and, hopefully, a huge payoff from a lawsuit. No one wants to be independent anymore. I worry because we want revenge. In the past, in any quest for rights, the group feeling oppression marched and protested and demanded equality. And when they achieved it, they rejoiced. Many now want to punish those who they believed oppressed them (whether real or imagined), and drag up old wounds to make new ones. We don’t seem to believe in cooperation, or friendship, or forgiveness, or anything else we should have picked up from Sesame Street (I hesitate to say “church” because that may be deemed “offensive”.) We want to hurt those we believe have–or may in the future–hurt us. None of us seem to want to break the vengeance cycle that could truly unite and free us. I worry because we really aren’t free anymore. Not free in choice of health care, school lunch, minimum wage, or even soda consumption. Some of us aren’t free to choose to do a job, or to reject that job. Some of us aren’t allowed to speak our conscience without being labeled or libeled. Many of us worry that our liberties will soon be our liabilities, especially if we express what we believe concerning God and His laws. Soon what passes as “free speech” may be so tightly constrained that there will be nothing free in any speech anywhere. I worry because we have become a country of selfish children. Read stories of our ancestors during the Great Depression, or either of the World Wars. They sacrificed for their families and their neighbors. They knew true poverty. Millions of families–not just a few thousand, but literally millions–sent off husbands and sons to WWII, and over a million were wounded or killed. Food was rationed, as was clothing and shoes and gasoline, and Americans labored willingly to help their country succeed. Today “sacrifice” is an ugly word, and we whine if we lose wi-fi. Even those who the government has deemed impoverished live with luxuries our grandparents didn’t dare dream of. We insist on being indulged, and “I’m entitled” is the phrase that pays. We’ve become soft and wimpy, and I think our ancestors would be ashamed. Are we becoming only a reflection of what we used to be? 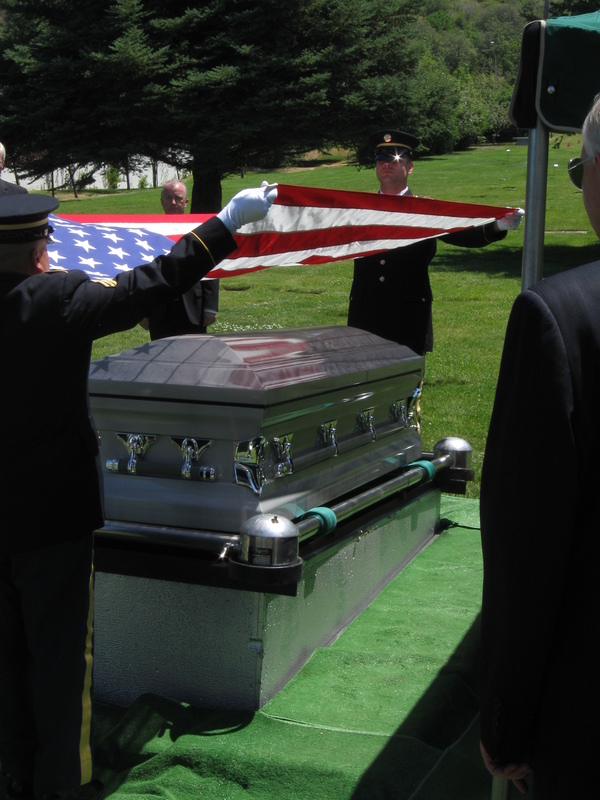 As I watched the flag suspended over my father’s coffin, the silhouette of it reflecting on the stainless steel (my mother chose their coffins; she loved the glint of silver), I felt that shiver of worry that not only had my father passed from this world, but so also had much of this country which he had loved. He had emigrated from Germany at the end of WWII. He knew an oppressive society where the leadership demanded complete obedience, where freedoms were restricted, where children were forced into a near worship of the government, and where anyone who spoke against it was carted away to a “work camp” never to be heard from again. I worry that as the so-called Greatest Generation passes away, so too will our memory of what they endured in totalitarian regimes, and why they fought so hard against them. And mostly I worry that we’re running headlong into repeating the history we no longer remember. I SO appreciate your posts! Your words convey my thoughts and beliefs so completely. thank you for giving them a voice. Thank you for using your talent as a wordsmith to share these important messages.